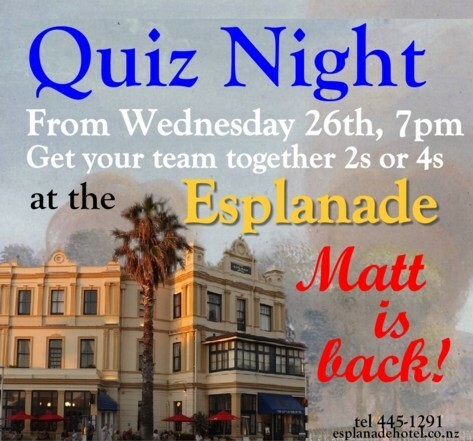 Great quiz nights at the Esplanade. Every Wednesday for a trial. Great prizes. Limited seating. Matt is back.